Bruch’s Scottish Fantasia and Mendelssohn’s Scottish Symphony and Hebrides Overture pay tribute to the country’s rugged beauty. 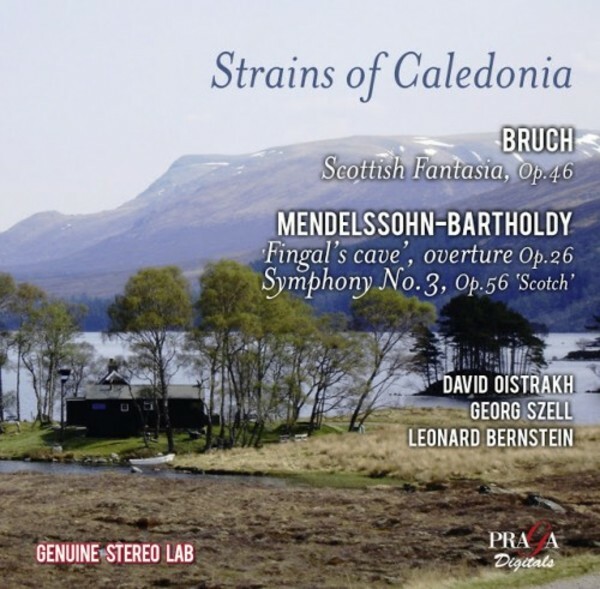 David Oistrakh, accompanied by a remarkable (but nameless) harpist, conjures up the ancient, remote feel of Caledonia. Then with Leonard Bernstein you embark on a voyage of discovery, enjoying all the ‘mod cons’ (to quote Debussy) and trappings of a modern orchestra.